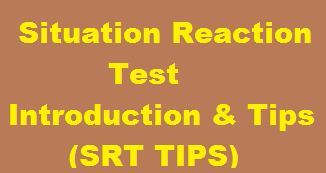 Browsing Category "SITUATION REACTION TEST"
I have uploaded SRT Practice set 2 and Situation Reaction Test practice Set 3 earlier and now i am putting more SRTs for Practice, SRT is test conducted on Day 2 in SSB. Practice more and more SRT from our site for best results. Ans. Immediately went to the rescue of the person, raised alarm and saved the man from being buried under the snow. Ans. Did not oblige his parents, discussed the importance of education, and refused to marry the uneducated and wealthy girl. Ans. Immediately, looked around for a substitute rope, carried on with the mission and scaled the fort as planned. Ans. He accepted the additional task put in extra effort and felt that work and experience will always help in the longer run. Ans. Maintain the strictness of the class and enjoyed the extra sense of discipline generated by the class teacher. Ans. Immediately alerted the neighbour, made the emergency call to police headquarters, proceeded in the direction of shots and rescored the people. Ans. Settle the misunderstanding through discussion, improved relations, and stayed as good friends as ever. Ans. Take the responsibility of parents, attend the evening classes, helped monetarily by taking up a job during day, and continued his higher studies. Ans. Raised alarm, contacted the police services on the emergency number, contacted helpline, arranged evacuation of the injured persons, informed relatives ad ensured safety and security of the cycles. Ans. Immediately informs the flag station, or railway station draws attention of the locals, guards the area of removal of fish plates, till repaired by the railway authorities. Ans. Explained the circumstances of losing the ticket to the Ticket Collector, convinced him and faced the consequences as deemed fit to the authorities. Ans. Alerts all the villages, informs the police authorities telephonically arranges arms and ammunition and come to the rescue of the neighbouring village. Ans. Convinces his father about his casualness in studies, improves himself, put more effort and passes the examination with good marks next year. Ans. Intervenes between the two opposing parties settles the issue amicably and resolve the fight. Ans. Speaks to his father telephonically, and confirms the convenient time of meeting his father after the conference. Ans. Accepts the responsibility, improves his aim, and eliminates the man-eater. Ans. Does introspection, improve himself, so that such situation does not occur in future. Ans. Listen to his friend, gives more reasonable replies and makes the conversation interesting by asking other friends to participate and break one sided conversation. Ans. Accepts responsibility of the family, by taking suitable job and also continue his studies privately and increases his professional skills. Ans. Accepts the responsibility on part of the Principal as a challenge arranges the available talent and ensures the display of good show to the Chief Minister and make the event a success.